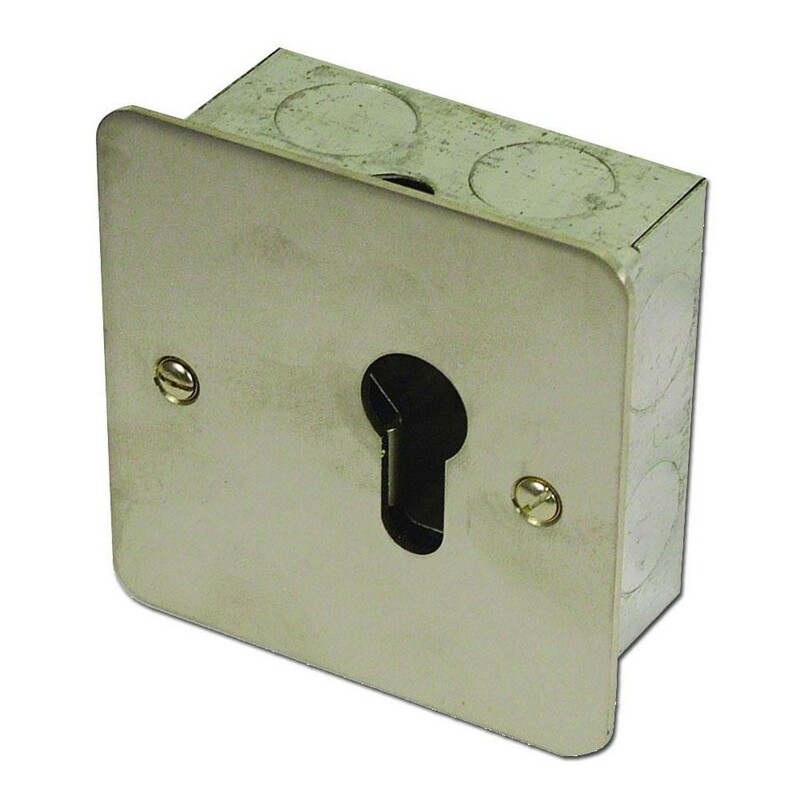 The Asec 1 Gang Euro Cylinder Operated 2 Position Key Switch requires a half euro cylinder to be fitted to operate, it is flush mounted however can be surface mounted by using a surface box (ordered separately). Flush mounted (surface box available to order). Requires a single euro cylinder (ordered separately). N/O & N/C contacts. Ideal to incorporate into a masterkey system.